Get those hands in the right position! Chipping from around the green. Should I use a flop shot or maybe a bump and run let's discuss what both are first and then discuss when to use one. 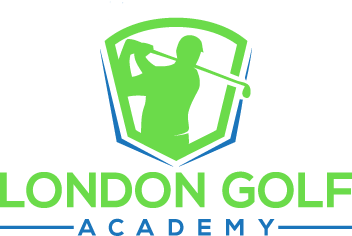 We always encourage our students to use the bump and run ahead of the flop shot when it makes sense to do so here at London Golf Academy for a few different reasons. The bump and run is easier execute and for most amateur golfers it produces better results whenever you can use it properly. That's why we think that it is by far the better shot to use around the greens in most circumstances. Third, you need to make sure that the flags in the right position to be able to use the Bump and Run. if the flag is too close to the side of the green then you're probably going to have to go to a flop shot. To execute the bump and run you move the golf ball back a little bit in your stance, you want to close the face down on your club a little bit depending on how far you need to make it fly in the air first. If you have room to make it fly to the green then chose a sand wedge or something with a little less loft as the proper club if you're right around the green and you want to get it on the green and rolling right away you can use even a 7 iron to execute the shot. Now that we have the proper golf club in our hand's let’s talk about the swing and the strike of the golf ball. When you make the swing you swing from what we call a low a low position, you take the club back low and you swing through and keep your hands low through the ball so that the ball comes off the clubface low and will land and roll out like a putt. Perfect execution of the bump and run can save a lot of pars! To execute the flop shot you would, first of all, pick the right club, you need a lob wedge or 60ﾟ wedge to execute this golf shot properly. Next, you have to move the ball slightly forward in your stance and thirdly you better make sure that the ball is sitting up on the grass so that you can slide your club underneath the ball. Swing nice and slow but accelerate through the strike to have the club life the ball high in the air and land very softly on the green with minimal roll out to the hole. The flop shot is a thing of beauty when executed properly but is also hard to master which is why we don’t recommend it for beginner golfers or those just learning the game. Remember the bump and run is usually the easiest to execute and just because it doesn’t look as fancy as the flop shot it will save you many strokes off your golf game! Everything you need to know about your swing plane and how to practice to develop the optimal swing plane. Hank Haney is famous for his teaching of Tiger Woods and is always teaching his golf students on how to "Eliminate the Big Miss". Generally amatuer golfers big miss is the dreaded slice. In the video Hank teaches you how to correct that slice and get the golf ball moving in the right to left (for right handers) direction. 1. The reason the ball slices is generally that the clubface is open at impact realtive to the swing path. What that means is that even if you swing the club to the left if the club face is still open you are still going to slice that golf ball to the right. 2. The first thing you need to do to straighten out that slice is fix your swing path. If you are swinging the golf club to the left (or pulling the club through the hitting zone) you need to start to swing the club out to the right slightly. Feel the club release to the right of the target just slightly. 3. Second, start to square the club face earlier in the swing sequence On your down swing start to square the clubface 2 to 3 feet before impact. Use your left hand to help square the clubface realative to the ball to make solid and square impact and minimize that side spin. 2. Square that club face.